No one wants to see a placeholder image. It’s very unlikely that shoppers will even bother clicking through to the VDP. Most will just move on to the next vehicle. At the very least, indicate that the vehicle is a new arrival and that photos will be available shortly. Here’s an example of a dealer who used the placeholder for the real images tab – with a “images coming soon” message – as well as another tab with stock photos. Managing vehicle inventory and supporting each listing with a collection of high-res, real photos that best represent your vehicles is time consuming but well worth the effort! While your team or a 3rd party vendor works to take several quality photos for each piece of inventory, it’s a great idea to leverage stock photos as a temporary placeholder. When licensing car stock photos from a vehicle data provider, such as ourselves, all of these images can be referenced by VIN number. Most vehicle research tools, such as a comparator or builder, are not powered by real inventory but rather virtual inventory. In this case, stock photos are the best option for supporting this research experience. 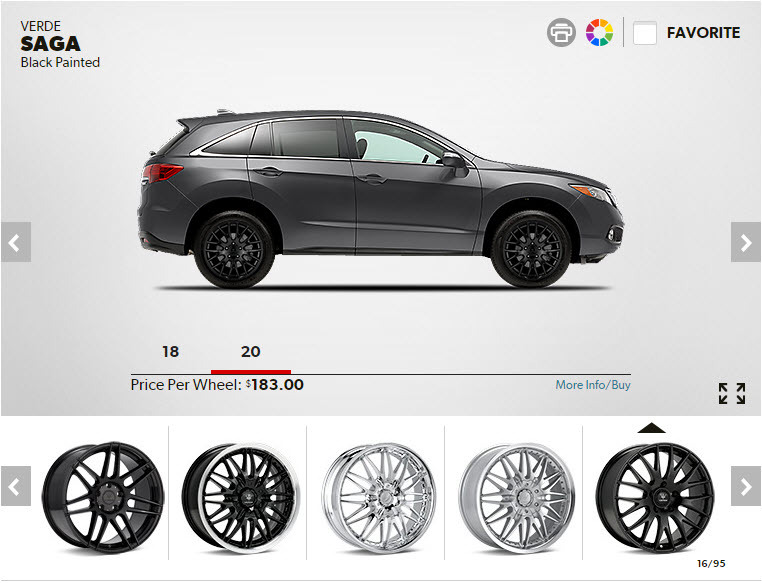 If you’ve decided to develop your own research tools for your business’ website or mobile application(s), you’ll want to make sure that the stock photo provider you utilize offers a full collection for each vehicle model, including multiple interior and exterior angles and all the available color options. As mentioned previously, licensing images from a vehicle data provider is generally the most efficient solution as it will eliminate the legwork of tying all images to the appropriate VIN. If you’d like to save even more development time, comparison and builder APIs are available with the ability to customize and create your own UI. Email blasts, billboards, website banners and social media covers, brochures, magazines, direct mail, display ads, vehicle overviews, vehicle reviews, the list goes on. All of these forms of traditional advertising and digital marketing will require some sort of vehicle imagery. Stock photos are generally the easiest to work with as most stock photo companies deliver their images in PNG format with a transparent background. This allows for ultimate flexibility across multiple use cases. Additionally, most stock photo providers also offer lifestyle photos that most businesses simply won’t have the time, resources, or desire to produce themselves. Since the goal of automotive marketing/advertising is to capture the attention of your ideal audience and sell them on a certain brand or handful of brands, you’ll want to make sure that your ads and marketing material are supported by the most aesthetically pleasing imagery. In most cases, stock photos will be effective. I should mention that there are some examples where you may want to use real photos for your marketing/advertising. When marketing to a highly-targeted audience that is closer to a purchase decision, real photos will resonate better given that they’ve most likely already viewed inventory leveraging real photos. Several business processes in the automotive industry require either a consumer or business user to identify their vehicle or multiple vehicles within a website or application form by year, make, model, trim or by VIN number. Some examples that come to mind are insurance quote comparison websites, driver-facing ride sharing apps, car parts/accessories websites, fleet management software, and telematics/roadside assistance apps. 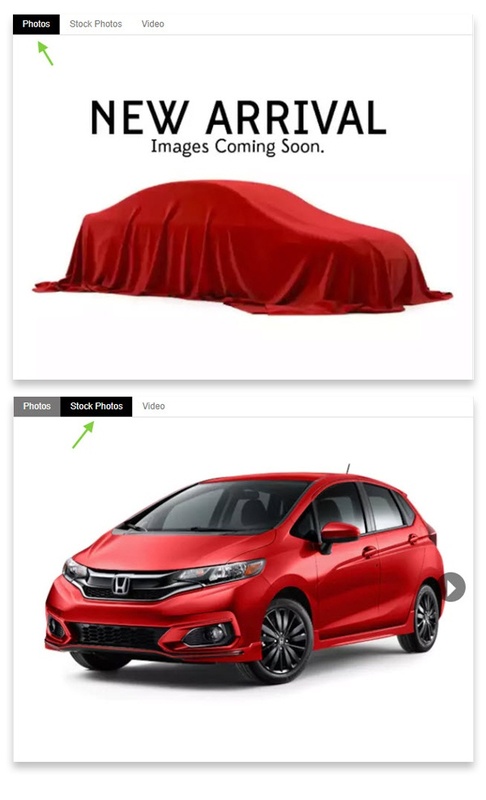 For each of these examples, leveraging stock photos for the corresponding vehicle is a great way to enhance the user experience and confirm that the user has selected the correct vehicle or entered the correct VIN. In fact, a few of the examples above shouldn’t go without stock photos. Especially an app like Uber where riders need to know which vehicle they are looking for, or a website like tirerack.com where shoppers want to see how certain wheels look on their current vehicle or vehicle of interest. There are countless use cases for stock photos in the auto industry today. Images and other forms of media should be an essential part of your business' website, applications, or various advertising/marketing initiatives if they aren’t already.